You know you’re making it in music when you learn you’re going to be opening shows for a band that’s not only been one of your biggest influences, but also one of your reasons for making music in the first place. 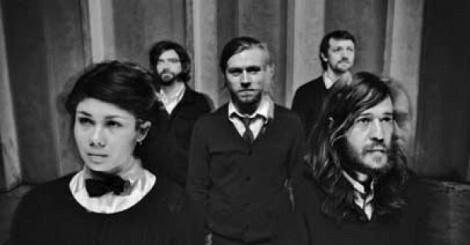 Stillwater, Okla., indie-folk band Other Lives will provide support for part of rock legends Radiohead’s U.S. tour, beginning in late February 2012 and continuing through mid-March. Arena gigs are a far cry from cozy 300-capacity venues, so it might just be prime time to catch them. Tabish grew up in the Sugar House area of Salt Lake City and moved to Oklahoma when he was 12. He began writing songs and making music as a kid, taking piano lessons for a short time when he was about 10 and resuming them at 19. In 2004, Tabish formed an instrumental band, Kunek, which released a self-titled album in 2006. Shortly thereafter, the band began playing as Other Lives after Tabish wanted a fresh start and began to experiment with lyrics. Under this new moniker, their self- titled debut album dropped in 2009 on TBD Records. The album’s single, “Black Tables,” was featured on prime-time shows like Ugly Betty, One Tree Hill and Grey’s Anatomy. Other Lives’ follow-up album, Tamer Animals, was released earlier this year after nearly 16 months of working on the album every day. While success is a hard thing to define, “writing music and completing a piece of music that blows you away,” Tabish says, is a crucial part to his own personal success as a musician. Tuesday, Dec. 13, 8 p.m.